Hello. With all respect and sincerity I am curious to learn if Ms. Haley Taylor Schlitz, as well as my American or foreign born neighbors believe the late popular American urban story-TRUTH-teller and ‘Childhood Trauma’ (#ACEs) victim Tupac Shakur’s #T_H_U_G_L_I_F_E Child Abuse and Emotional Maltreatment AWARENESS-PREVENTION PSA offers a reasonable explanation for why significant numbers of American children are being impeded, hampered or prevented from maturing into reasonably responsible, well-adjusted American teen and adult citizens who become doctors, scientists, engineers, business owners, educators and leaders? 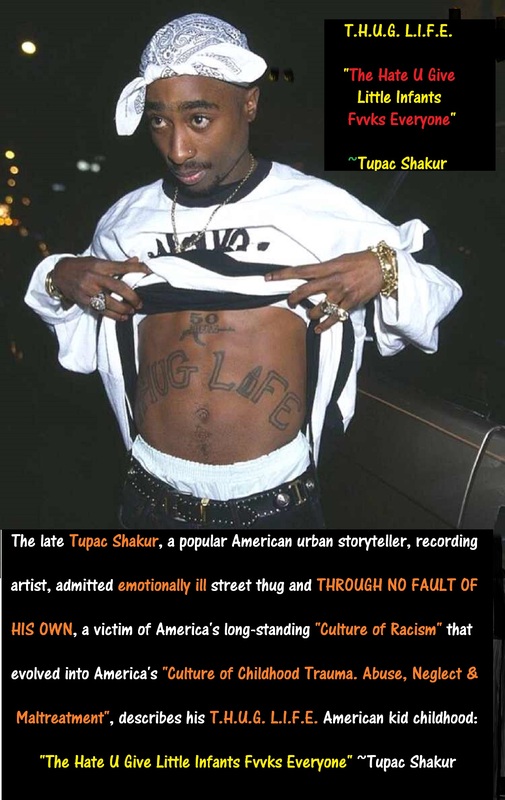 Does Tupac offer a reasonably intelligent explanation for why black or American citizens of African descent are being impeded from experiencing the equality and respect all peaceful, reasonably responsible Americans are entitled to enjoy? Congrats to Ms. Haley Taylor Schlitz for her achievements. Hopefully she matures into a responsible woman respecting men as much as she apparently respects females. I’m also hope Ms. Haley Taylor Schlitz is not denigrated, harassed, intimidated and bullied for acting “TOO WHITE”. “We don’t need no more Rappers, we don’t need no more Basketball players, no more Football players, we need more thinkers, we need more Scientists, you know, we need more Managers, we need more Mathematicians, we need more Teachers, we need more people who care, you know what I’m saying, we need more Women, Mothers, Fathers, we need more of that! We don’t need any more Entertainers, and I know that sounds real F’ed up for me to say that from where I’m at, but it’s really not all you think it is, and I think people don’t understand that, you know what I’m saying, we need to concentrate on having a society, what if we did get our freedom? Hello. With all respect and sincerity I am curious to learn how many, if any, of my American or foreign born neighbors believe the late popular American urban story-TRUTH-teller and ‘Childhood Trauma’ (#ACEs) victim Tupac Shakur’s #T_H_U_G_L_I_F_E Child Abuse and Emotional Maltreatment AWARENESS-PREVENTION concept offers a reasonable explanation for why significant numbers of American children are being impeded, hampered or prevented from maturing into reasonably responsible, well-adjusted American teen and adult citizens who become doctors, scientists, engineers, business owners, educators and leaders? Social commentator Mr. David Carroll sharing truth, knowledge, facts and opinions many people wish to ignore. I am referring to a Culture of Child Abuse, Emotional Neglect and Maltreatment responsible for popular American Urban storytellers the late Tupac Shakur and White House guest Kendrick Lamar and vividly describing the “m.A.A.d. City” and “T.H.U.G. L.I.F.E. Child Abusing Cultures that through no fault of their own, deprived these American men, their childhood friends, as well as many of their elementary and JHS classmates from experiencing a SAFE, fairly or wonderfully happy American kid childhood. “The Hate U Give Little Infants Fvvks Everyone” Tupac describes his T.H.U.G. L.I.F.E.